In discussing what his father and his father’s comrades witnessed, this conversation by necessity touches upon some of the worst of war, which some of you might wish to take into consideration before listening. I hope you will listen, though; if you were captivated by the way a previous Life Stories guest, Michael Hainey, used his journalistic skills to get at his family’s buried history, you’ll find Maharidge’s story equally compelling. You’ll also be moved by how Maharidge’s interview subjects knew that speaking up about what happened to them—including the multiple blast concussions that, ultimately, explained Maharidge’s father’s condition—would help the young men and women coming home from today’s conflicts likely to have suffered similar brain injuries. Listen to Life Stories #32: Dale Maharidge (MP3 file); or download this file directly by right-clicking (Mac users, option-click). 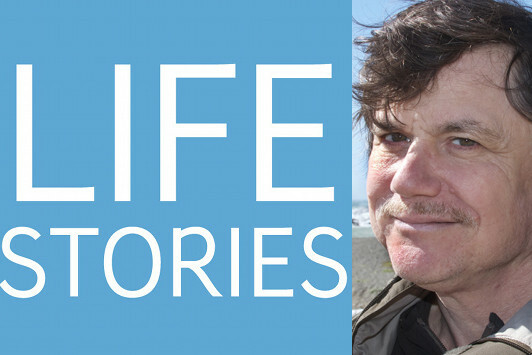 You can also subscribe to Life Stories in iTunes, where you can catch up with earlier episodes and be alerted whenever a new one is released.